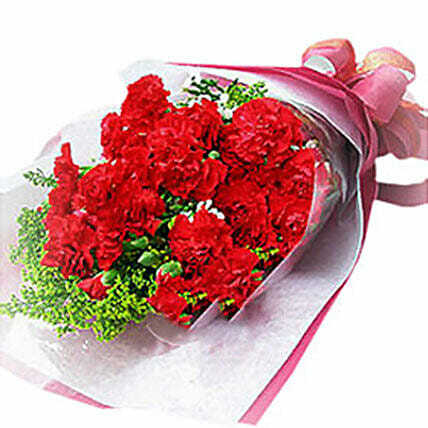 Express your deep love for a special person with this ravishing bouquet of 20 red carnations with some fillers. Red is the color of love, romance, and passion and red carnations symbolize these feelings in the best possible way. Present this awesome bouquet of love to a special person and enjoy the feeling of love.